Initially the braces feel like they "stick out". This is normal. As you become accustomed to your braces and your tooth alignment improves, this sensation will disappear and will cease to be a concern. Although the brackets have been rounded and smoothed, until the cheek tissues have "toughened", you may find it helpful to use a small piece of dental wax around the bracket that is creating the irritation. 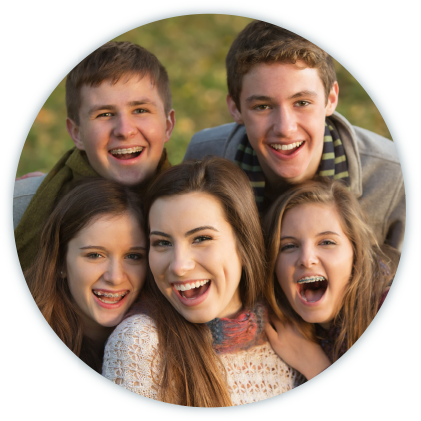 You will probably notice some discomfort beginning a few hours after your braces are placed. Some teeth, usually the front teeth, may be "tender" and sensitive to pressure. Occasionally, patients report they experience no discomfort, but most have some soreness during the first eight hours, dissipating within the week. Exactly when the discomfort ceases is impossible to predict and differs for each patient. You may wish to take non-prescription pain remedies commonly taken for other discomforts such as headaches. For maximum effectiveness, it may be best to take such medications before the discomfort begins. Always schedule your next appointment before leaving the office. Waiting 1-2 weeks after an appointment before scheduling your next office visit complicates the scheduling process, since appointments are programmed 6-10 weeks in advance. Postponing appointments is a common contributor to overtime treatment.